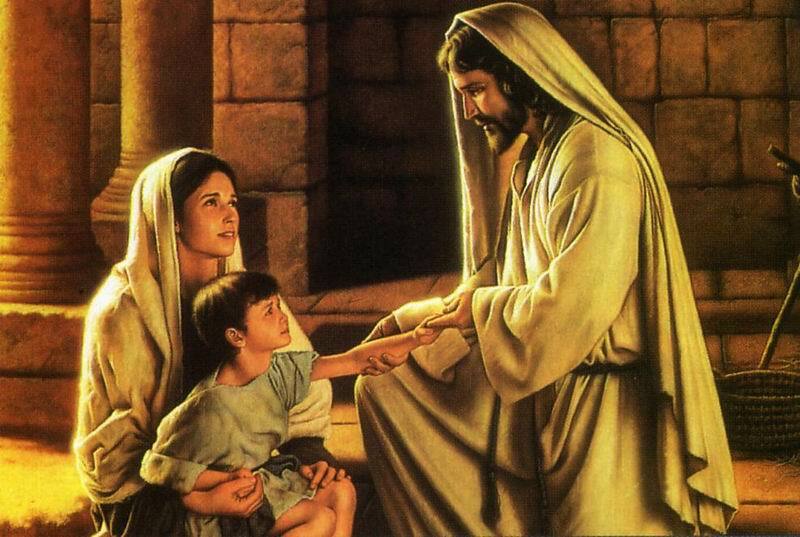 Home Jesus: Who is this Jesus to Know, Love, Follow and Serve? Jesus: Who is this Jesus to Know, Love, Follow and Serve? You have to admit, if you study and research long and deep enough, that Jesus was a real, unique and challenging person. That Jesus lived is incontrovertible and historically recorded. From the records of Josephus, a Roman-Jewish historian, to the New Testament gospels of Matthew, Mark, Luke and John, the Acts of the Apostles and the Epistles of Paul, we can read, evaluate, meditate and build the case for or against the claims and the situations of Jesus. The Islamic Quran records and esteems Jesus as a great prophet. Some scholars and theologians clearly believe Jesus was and is the promised Messiah, foretold by many Old Testament references. Other scholars believe a Messiah is yet to come to and for Israel. We know, from all verifiable accounts, that Jesus: was born in Bethlehem (literally, the city of bread), was raised in Nazareth as a carpenter with Joseph and Mary his mother and he became a noted rabbi or teacher and was followed by a devoted group of twelve disciples and crowds of a few people to dozens, hundreds or many thousands of people. But we ask, why is this Jesus a challenging and controversial figure? We read and hear the clear and piercing imagery and life connections which Jesus made and illustrated with parables - stories that are relevant and meaningful even for our modern times today. The Jesus miracles which are recorded in the New Testament are apparent acts of awesome wonder and amazement - physical healings of the blind, the lame, lepers and even the resurrecting of the dead such as Lazarus who was three days in the tomb. Jesus proclaims that the kingdom of God is here and at hand and this was affirmed by John the Baptist and the New Testament scribes. There is also the clear and distinct proclamation by Jesus that there is a Father in Heaven - He is the God of all. Time and time again Jesus refers to His Father in Heaven and Jesus says he listens and does what the Father asks. And, when the disciples ask Jesus to teach them how to pray, Jesus responds to pray in this way: "Our Father who are in heaven, hallowed be Thy name, Thy Kingdom come, Thy will be done, on earth, as it is in heaven, Give us this day our daily bread, forgive us our debts (sins, trespasses) as we forgive our debtors, and lead us not into temptation, but deliver us from the Evil One." (Matthew 6:9 - 13). Jesus along the way even proclaims that "I and the Father are One." (John 10:30). The association of Jesus with the most common people, the lowest, the demeaned, the despicable, the outcasts, the poor, the lame, the beaten and downtrodden, the sinners, the needy, the abandoned is evident throughout the four gospels. He could and would interact with anyone or everyone anywhere. He was unafraid, bold, yet humble, mild, gentle and firm. Jesus was a contradiction to tradition while affirming the best of it. Why heal on the sacred Sabbath? Forbidden were these acts, yet if needed, so be it. Why say to the woman at the well in Samaria that your sins are forgiven, then remind her to go and sin no more? (John 4: 4 - 26). Why heal without advertising, without demanding payment, or asking for notoriety, or seeking fame and fortune and the best that life has to offer? Why say your sins are forgiven and then proclaim to that person you are healed? Why say you are the son of man and yet claim that You and the Father are One? (Matthew 20:18, Matthew 24:30, Matthew 24:44, Mark 10:45, Luke 9:58, John 5:16-28). Don't you just confuse people Jesus and make them wonder what does this mean and who is this Jesus? Yet, maybe that is just where you are going with all this. Yes, the Scribes, the Pharisees, the Sadducees, they could see, they knew for they were wise men who were well-versed in the Scriptures. They would know, they would judge, they would condemn. Jesus consorts with sinners. Jesus honors not the Sabbath. Jesus says, "I and the Father are One!" These men were the contemporaries of Jesus; they were the higher-up and elite people, the leaders, the powers, the movers, the shakers, the authorities, the religious politicians and they were not too happy with this upstart, this renegade, this rebel. They truly felt and believed this Jesus is breaking our rules, our traditions and blaspheming. There he goes again. Listen. Hear. Understand. This is unbelievable and not good. "Before Abraham was, I am. I am He Who was foretold." And later people would come to hear and know these words:"I will ask the Father and He will send you the advocate, the Holy Spirit to guide you." "Behold I am with you all days, even to the consummation of the earth." Yes, there was the Garden of Gethsemane where Jesus and the disciples went to pray. And as Jesus prayed, His disciples slept. The gospels convey an agony and a foreboding time for Jesus and an apparent knowledge that a special time was at hand. Soon Judas and men from the synagogue and soldiers came. There was a kiss by Judas on the cheek, a kiss of identification and betrayal and then the taking into custody of Jesus. A late night meeting, a hearing and trial at the Sanhedrin and accusations against Jesus. Who are you Jesus? Messiah? Blasphemer? Caiaphas, the chief priest heard it all, as did the others gathered there as judges and jury gathered as one in the surrounding dark of the night. The table was set and the game was in play for their Jesus prisoner and he was now theirs to deal with. Soon Jesus is sent to the Romans for crimes to be punished, but the Roman governor Pilate would have nothing to do with the charge of blasphemy against a God the Romans did not believe in - after all there were many gods for them to deal with as Romans. To appease the religious leaders there was some questioning by Pilate the Roman procurator or governor. Pilate asks Jesus, "Are you the King of the Jews?" The reply of Jesus is answered by a question back to Pilate, "Is that your own idea, or did others talk to you about me?" Pilate responds, " Am I a Jew? It was your people and your priests who handed you over to me." 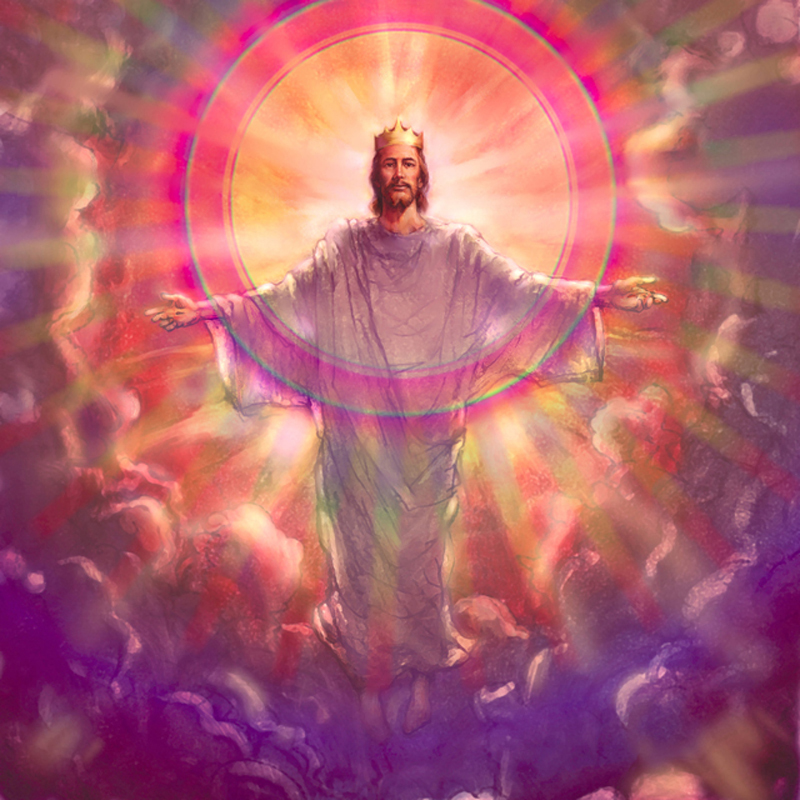 Now Jesus responds simply and directly, "My kingdom is not of this world. If it were, my servants would fight to prevent my arrest by the Jews, but now my kingdom is from another place." Pilate is obviously intrigued by that response and says, "You are a king then?" Jesus responds again, "Yes, you are right in saying I am a king. In fact for this reason I was born and came into the world, to testify to the truth. Everyone on the side of truth listens to me." Pilate then simply says, "What is truth?" (John 18:38). If humans thought they could question God would they say what Pilate said? To his credit Pilate declares, "I find no basis for a charge against him. But it is your custom for me to release to you one prisoner at the time of the Passover. Do you want me to release T he K ing of the Jews ." At this point and others the religious leaders and plotters and crowd demand that Barabbas leader of a rebellion against Rome be released instead. Pilate is perplexed and aghast. He orders Jesus flogged and beaten and returns to the crowd and asks them again to "see the man" and claim him as your king. They reply back only Caeser is our king. Crucify Jesus, Crucify him. Pilate replies that he finds no crime and I will give Jesus to you to crucify. The leaders have stirred the crowd and plotted against Jesus and the crowd cheers, "Give us Barabbas." Barabbas is released and Jesus then is sent by Pilate to be crucified as a criminal. The Crucifixion of Jesus story continues as a truly difficult torturing of anyone, criminal or not. The details and the agony are to read, Soon we are told this Jesus is truly nailed to a crossbeam. Many disciples and apostles had fled and most were far off and hiding in fear. The power of Roman crucifixion enveloped the late afternoon air. There was weeping, anguish and some bowed heads. Some others looked on with satisfaction for they heard Jesus say, "Father into Your hands I commend my spirit." And then these words, "It is finished." Even before that there was the refrain from Psalm 22, "My God, my God, why have Thou forsaken me?" Yes, the mockers, the envious the devious, the plotters had exacted the death they sought for Jesus and they were satisfied and happy and victorious. Three hours later, after Jesus agony, pain, sweating and bleeding profusely, the Roman soldiers could clearly confirm that this is the dead Jesus Christ. There was no life there. This was no act. This was no illusion. This was a real death. The Roman soldier's spear was run into the side of Jesus and released blood and water, a sure sign among others of death by asphyxiation and cardiac failure. The soldiers allowed Mary and some helpers to remove Jesus from the cross, anoint his body with oils, wrap Jesus in linens and bury him in a tomb. The religious leaders sternly warned the Romans to guard the tomb, so no one would mess with stealing the body. We can not have the people think that if you destroy the temple of His body that God will raise it up. Guard the tomb for a week, a month, a year whatever it takes. Seal the tomb and we want the largest stone you can find. We want no more of this Jesus. They walked away eventually, almost all of them, and the body was placed within and the tomb was sealed and guarded. Soon night fell and there was darkness and the Roman guards positioned themselves to make sure there was no more of this crazy commotion about a man from Galilee. He is risen and alive! Yes, soon, within three days we see proclaimed, cited and shouted for all to hear - He is risen! He is risen? A hoax, a lie, the body is gone, but where have they hidden his body? We must find that body and find it quickly. That is what some feared the most - a story of a resurrected Jesus. But there was no body to be found, no one to reveal a hoax, there was continuing and growing story of a resurrected Jesus. No body, no finding. Yet, there were more reports and sightings and seeings of Jesus. Who would believe all these Jesus stories? Who would believe these proclamations and records coming from the minds and lips of a few, simple, unsophisticated fisherman and of a few learned and complex people such as a tax collector, a physician and a wizened, tenacious, educated rabbi and rabid former persecutor and prosecutor of Christians (Paul of Tarsus)? Peter had denied he was a follower of Christ three times in the courtyard outside where Jesus was being tried as a prisoner. Others had been in hiding. Why show up now for a hoax? Why risk pain, injury or death for a fable? If you are going to live or die, do it for something worthwhile. And that is what happened and began to unfold with this scattered and leaderless flock. The disciples of Jesus did not have a marketing plan. In fact, the disciples seemed to have no plan at all, for they all scattered and hid after the crucifixion of Jesus. However, soon we find them preaching and proclaiming something astounding, astonishing and wonderful. He is risen! He has overcome death! Jesus says, and we know the apostles and disciples say, what this all means - Jesus' life was offered up as a sacrifice to God and His blood was shed just as a sacrificial lamb, just as Abraham prepared to sacrifice Isaac, but God spared him. Not so for Jesus, God sent his only-begotten son to make the ultimate sacrifice so that all humankind would and could come to understand this - it is finished; it is accomplished. Jesus was and is the only and final sacrifice for all who come to Him. God so loved us that He could and would and did die for us. Really? They say you can know Him and be loved by Him and follow Him because He IS the WAY, The TRUTH and The LIFE. You can know, Jesus said, and the disciples affirmed, that God loves you and forgives you and has prepared a place for you. That is love and forgiveness. God, the supreme and ultimate judge, pardons, forgives and does not condemn all those who come to Him through Jesus and the kingdom on earth is real and to be fulfilled. All of this happens because Jesus paid the price for all who accept that price paid by Him and honor Him as God's only begotten Son. Now that begotten part, that three persons and yet One God is a big issue that is a challenge and a barrier to some. How can God be One and how can there be three persons? If Jesus declared the unity of Father and Son and the sending of the Holy Spirit or advocate, then that is a settled matter as far as God is concerned. There is One God and there are three distinct and very real manifestations and presentations of that. Theologians have visited, reviewed, written and analyzed how this can be true and real as a concept related to One God. That concept, idea is an article of faith, similar to the Resurrection itself. Thomas, one of the twelve apostles did not at first see Jesus resurrected. He was told about it, but he doubted. Then, in a room with the others, the gospel tells Jesus entered into that enclosed came room and called Thomas to see the wounds of crucifixion in His hands and feet and the wound in His pierced side. The gospel says Thomas fell to his knees and proclaimed, "My Lord and My God!" And here Jesus simply says, "because you have seen you have believed, blessed are they who have not seen and believe." And what was the beginning and the end result of this Jesus story as it is carried through the Gospels, the Epistles and the Acts of the Apostle? Judas, the betrayer of Jesus, threw the 30 pieces of silver to the ground and went out to hang himself in despair not knowing the resurrected Jesus. All the apostles and many disciples proclaimed the gospel of Jesus as teacher, Lord, Master and Savior, wherever and whenever they went and as they were inspired by the Holy Spirit of God, who is that somewhat mysterious, yet very real, third person of One God. Early Christian Experiences Post Resurrection - What Happened? And now, what was the reward for all this fellowship of Jesus, this special apostleship and discipleship? 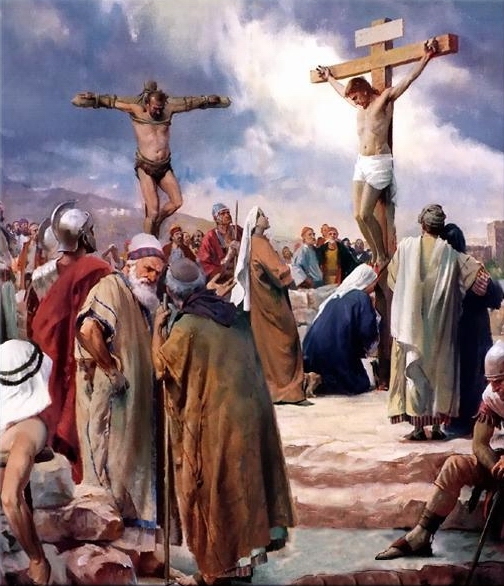 As the message went forth, there was belief and conversion of some, there was disbelief and mocking by others with stonings, spitting, beatings, imprisonment, beheadings, crucifixions and, yet, the message went forward by those Christians peacefully, without vengeance and many times without defense. Christians died then and today proclaiming redemption from sin and liberation. So, the message remains simple - we are sinners and not good in so many ways. God loved us and sent His only-begotten Son who was with Him before time began. This Son, this Word became flesh and became the WAY, the TRUTH and the very LIFE that God wants for all humankind. Humans who know and serve Christ are grafted into the living vine and waters and obtain their life from that eternal life. Jesus lives and shows us that Way. He dies, His life ended in a real and true crucifixion unto a very real death and then He overcomes death to prove there is eternal life and there is a victory, a spirit realm, a world beyond mere flesh. Eternal life cannot be merited or bought, but through Jesus it is obtained. This eternal life is obtained by belief in Jesus. For those who follow His Way and His Truth, which is one and the same as the Father's, there is Life now in the kingdom on earth and the kingdom in heaven. Jesus commands us to pray Thy will (Abba, the Father's will) be done on earth as it is in heaven. We ask the Father for our daily bread and we are to forgive others just as we have been forgiven. Jesus said, " My Peace I give to you, my Peace I leave with you. Not as the world gives, but as I give." We all seek that Peace. We all seek life and peace and when we find it there is joy and the joy of the Lord is our strength. True followers of Jesus believe in love, peace and have hope of life beyond this earthly realm. Sometimes the lives of Christians run off the tracks and fall into deep and dark valleys. The light of salvation, however can travel to the farthest and darkest places because Jesus told everyone to "fear not, I go before you always." That is comforting and good to know. We are all sinners and from time to time we need forgiveness and we need to repent. God knows this of us and because Jesus lived within our frame, He knows us, understands us and can save us and forgive us. This is Good News and who better than the Creator knows the nature of all things and life. God's Grace is unmerited and can not be earned. God freely gives to those who ask is the longstanding and eternal Christian belief. To the woman at the well Jesus said, "He who drinks of this water (in the well) shall thirst again, but whoever drinks of the living water I give, shall never thirst." That is powerful and forever memorable. Is there a heaven? Is there a hell? Is Jesus the Way, the Truth and the Life? Why do some doubt? Why do some believe? Why do some not know or care? It is a choice, it is a matter of faith. and God does not force us to love Him. That is what free will is all about. We have been given the choice to freely accept or reject. Forced love, forced faith is essentially worthless love, worthless faith and meaningless. Christmas is a time when the birth of Jesus is commemorated and celebrated. Lent is a time during which Christians proclaim and celebrate the times of Jesus in Jerusalem at Palm Sunday, the Passover and the last supper of Jesus. There in Jerusalem, as they shared the unleavened bread and the wine, Jesus said, "as often as you do this, do this in remembrance of me, for this is my Body and this is my Blood." Soon after this supper there is the betrayal by Judas, the capture and imprisonment of Jesus, the secret trials and the ultimate sentencing of Jesus to death by Pilate. Pilate asked Jesus, "what is truth." Many of us ask that "truth" question each day about matters small and large and somewhere in between. Jesus said to seek first the kingdom of God and His righteousness then everything else would fall into place. Let it be that way for sure. The Easter celebration is a belief and faith celebration - "He is risen" is the refrain heard throughout the world at Easter. As grass springs to life and grows in springtime, as early flowers appear and trees come into leaf (if of the deciduous kind), so goes the spiritual rebirth of humans. And we ask then, can anyone be "born again", just as that tree which sprouts forth and bears new leaves from buds that were barely seen months ago in winter? How shall this be? Christians speak of miracles such as a Virgin birth, healing of the blind, the deaf, the lame and even resurrections of the dead. Why do they believe in Jesus? Why do they believe in these things that are reported? Why do they proclaim the message of hope, faith, peace, salvation? Is this simply to make them feel good and live in a world of myth or does all this make more sense than anyone can imagine?Could it be that God so loved the world that He sent His only-begotten Son to forgive, heal and show us the Way, the Truth and the Life? Why not? If God really is a God of love, why not? If God made the world and He has power and might beyond anyone's comprehension, then we might think, come to know and see that He wanted it to be the best world possible. Despite the sin, the pain, the surrounding suffering and death, this all may all fit together and make sense, at least with Jesus in the picture to frame it all in and make some sense of it all. Sense or nonsense, belief or disbelief, concern or boredom, interest or apathy, regardless of the human thoughts and positions, this Jesus stands as a challenging and unique person and one who has made and still makes a big difference in the world. Christians say He still lives today and He is alive and well and He is affirmed by the Holy Spirit. If you, or someone else, is looking for the Way, the Life and the Truth, then you might come to that door and knock (Matthew 7:7), or on the other hand, when you hear that spiritual or soul knock from the other side of the door, then you may have to move and respond and open the door. In the New Testament (Revelation 3;20), John writes of Jesus saying, "Here I am. I stand at the door and knock. If anyone hears my voice and opens the door, I will come in and eat with him, and he with me." (Rev. 3:20). We may laugh at the simplicity of this image, but that is what is conveyed to us. 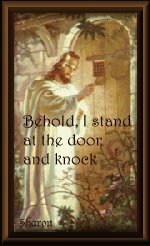 In some ways this door event is obviously a two-way deal - anyone may knock at the heavenly door and Jesus will respond by opening that door (to Him) as cited in Matthew 7:7, or, as Revelation says, Jesus may knock and it is up to the hearer to respond. Regardless,this actually sounds like a guarantee of something good happening, an absolute guarantee. Remember the faith walk, regardless of which one you are on - atheist - agnostic or theist - is one we all take. No one really walks alone. We all walk with others on earth in some kind of faith or belief. May you walk well - wherever you go, for as long as you go, on your life's journey and way. I believe that God honors our choices and gives us free will to make whatever choice we would like since forced love is not really love, is it? NIV Study Bible. Zondervan Publishers. Grand Rapids Michigan.